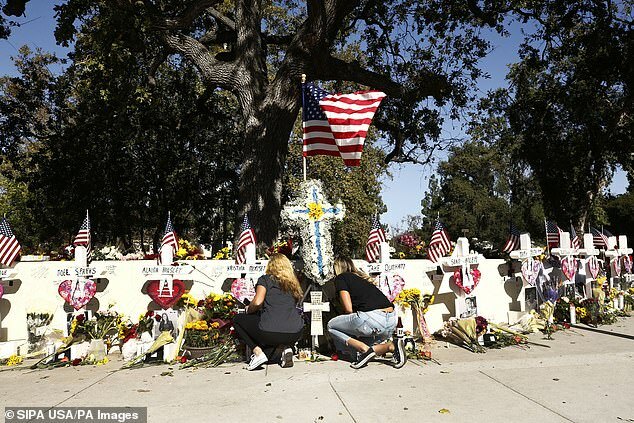 The devastated owners of the Southern California bar where 12 people were killed when an ex-Marine opened fire during Country Night are preparing to host the event for the first time since the rampage. The Borderline Bar & Grill in Thousand Oaks has been closed since a gunman attacked patrons inside the crowded bar on November 7. Almost a month on, the bar’s management is preparing to bring back the popular event, set for December 20. But because the place is not ready to re-open its doors, Country Night will be held at The Canyon Club in nearby Agoura Hills, TMZ reports. The Canyon Club’s doors will open its doors for Country Night at 6pm on December 20. Revelers can take dance lessons at 6.30pm and then enjoy line dancing, drinks and food until closing time. The Borderline Bar and Grill has remained closed since 28-year-old Ian David Long attacked staff and customers on November 7. The owners are planning to open up again, but a date has not yet been set for the re-opening. Late last month, police said Long had more than 150 bullets left to fire but stopped shooting to ambush arriving officers, killing one of them. Investigators also said they still don’t know why Long went on the rampage that night. 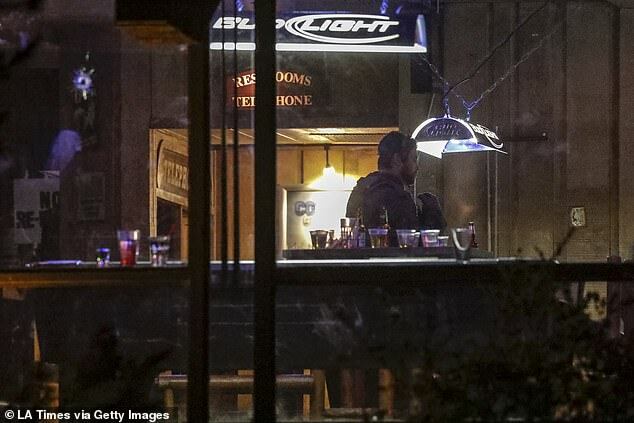 There’s no evidence that Long was radicalized or was targeting anyone at the bar, and though Long had previously been a customer there, the owner didn’t know him, investigators said. Long threw smoke grenades into the group of revelers, obstructing what they could see. He used a flashlight with a laser sight attached to his .45-caliber semiautomatic pistol as he fired, killing 12 of the 13 people who were struck. He stabbed one of the shooting victims in the neck, though it was unclear why, a coroner’s official said. ‘As you can imagine, this was a terrifying experience for everyone who was there,’ Ventura County Sheriff Bill Ayub said. The first two officers to arrive at the scene, sheriff’s Sgt. Ron Helus and a highway patrolman, saw at least 100 people fleeing the bar and ran into an ambush, Ayub said. Long had gotten into a tactical position and fired on them when they entered, killing Helus, a 29-year veteran of the department who was close to retirement. Initial reports from survivors spread further confusion. Some of those who were injured in the escape fled to a nearby bar and authorities at first feared that a separate shooting had occurred there. Survivors also gave different descriptions of the shooter, leading officers to believe there was more than one gunman. Long, who was not hit by the officers’ gunfire, fatally shot himself. The former machine gunner and Afghanistan war veteran posted on social media during a break in the gunfire that he wondered if people would think he was insane. He had the capability to kill many more than 12 people. Of seven 30-round high-capacity magazines that Long had, five remained unused, Ayub said. Such magazines are illegal to buy and possess in California but can easily be purchased in neighboring states. The mother of one of the victims, Telemachus ‘Tel’ Orfanos, said she went to the news conference to make sure her son was remembered as more than a statistic. 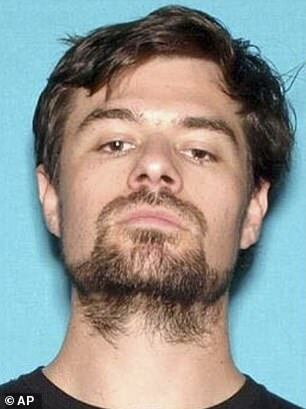 Investigators have interviewed hundreds of witnesses and gathered bullet casings, surveillance video and other evidence from the scene, as well as seized items from Long’s home, including digital media, said Paul Delacourt, assistant director in charge of the FBI’s Los Angeles field office. Most of the evidence taken by the FBI is being analyzed at its lab in Quantico, Virginia. 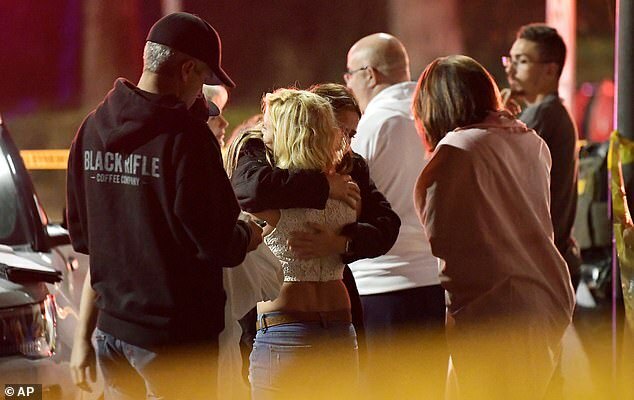 ‘There’s a process of both interviewing the people and getting the information investigators obtain and consolidating those to develop a timeline, and if we can discover what the motivation was for this attack,’ Ventura County sheriff’s Capt. Garo Kuredjian said. Their work persisted in spite of a wildfire that erupted just hours after the shooting, forcing some FBI investigators and sheriff’s detectives to evacuate. ‘They didn’t miss a beat,’ said Kuredjian. Neighbors have said Long made them uncomfortable and even called 911 on him in April. Responding deputies found Long behaving angrily and irrationally, but a mental health specialist who met with him didn’t feel he needed to be hospitalized.